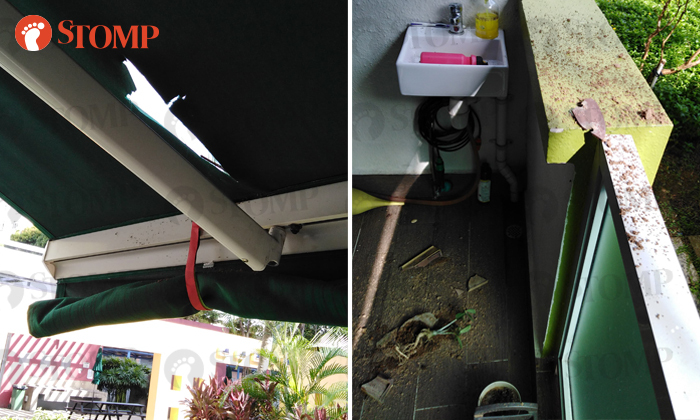 A potted plant was found smashed into pieces after falling through the awning in Stomper Raymond's condominium apartment in Choa Chu Kang on Monday afternoon (Nov 26). 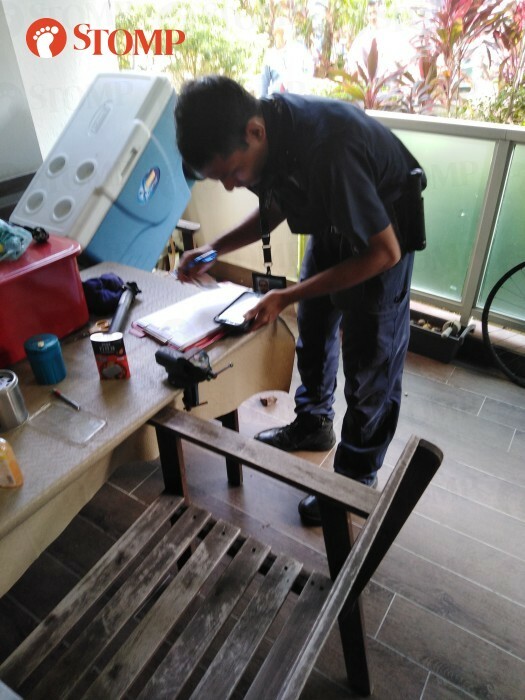 Raymond told Stomp that he had returned to his home at The Warren condominium, located along 55 Choa Chu Kang Loop, at around 4pm when he saw the damaged plant in his patio. Raymond, who has been living at The Warren for around six years, subsequently called the police. The ground-floor resident told Stomp: "This is the second time something like this has happened. "The first time, it was a vase that fell into my house. I can't remember the exact date but it was earlier this year. I was home at that time when I heard a sound. "I later reported it to the condo management. "As this was the second time, I had no choice but to call the police." The Stomper also contributed several photos of the smashed potted plant, which he estimated to be about 15cm to 17cm. Besides a hole in the awning where the potted plant had fallen through, there were also broken shards and soil scattered around Raymond's patio. He added: "The police took sample and photographs. "I cleaned up the mess afterwards." In response to a Stomp query, the police said that they were alerted to a case of causing hurt by negligent act at Block 55 Choa Chu Kang Loop at 4.11pm. No injuries were reported and police are looking into the matter. Raymond said: "Some residents at neighbouring blocks have experienced this issue as well. I have read about it in a Facebook group that we are a part of. "I am sharing this so that I can create awareness to the public." Stomp has contacted the condo management for comment. 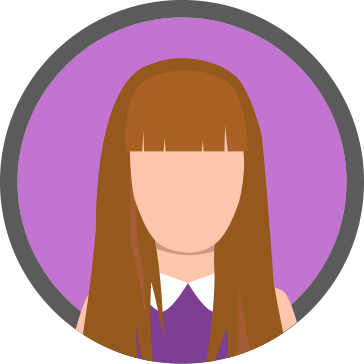 This article was edited to reflect an updated case classification.